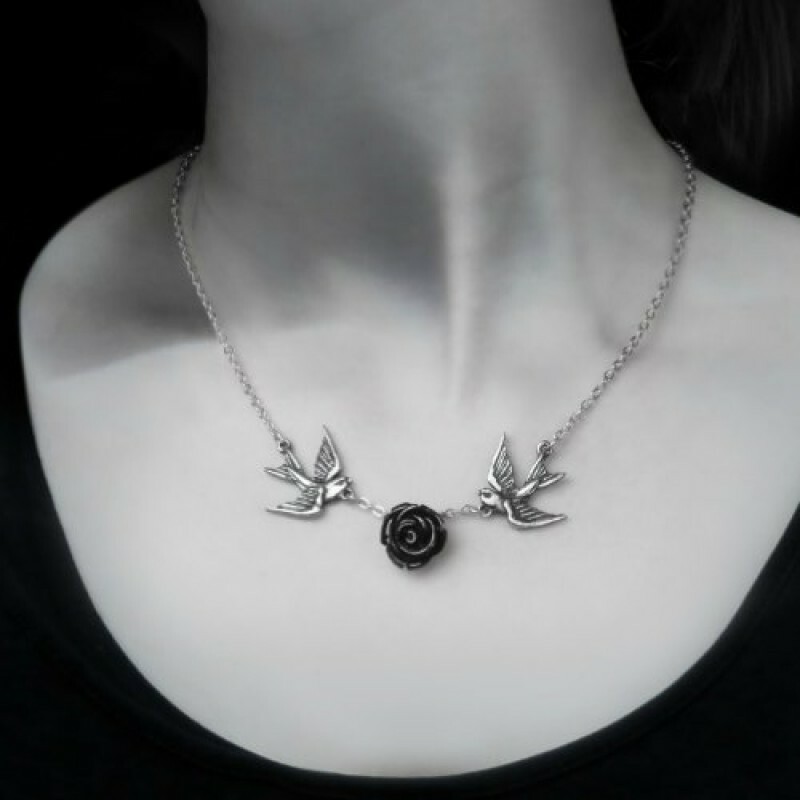 The swallow, symbol of a safe return and with it, the passion that seemed gone for ever. 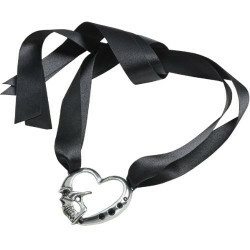 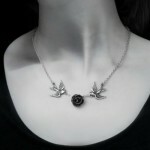 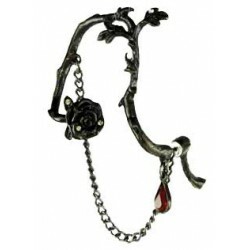 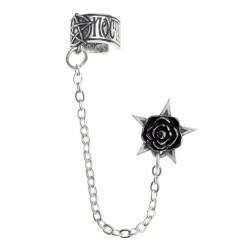 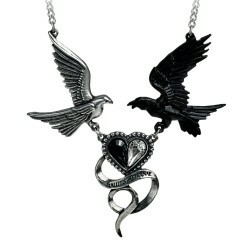 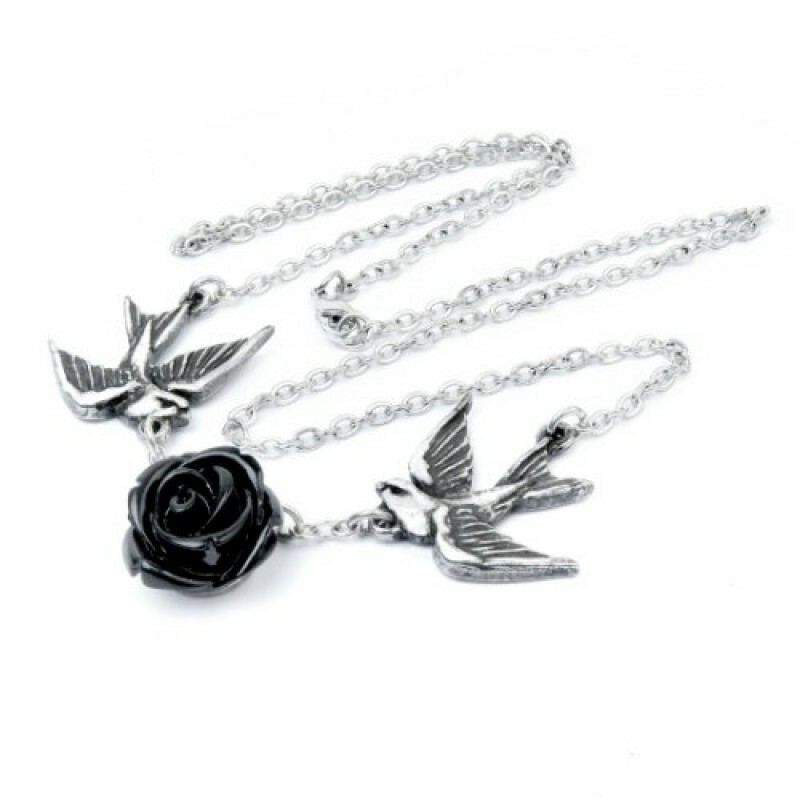 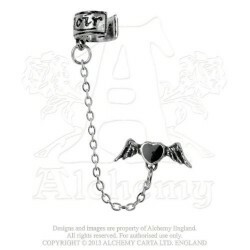 An articulated pewter necklace of a pair of traditional tattoo style swallows, with a resin black rose flower suspended between them, and on a split chain, 20" (51 cm) overall.  Height 1.85" x Width 3.03" x Depth 0.47"